I live and breathe City life. There's no doubt about it. From the architecture, to the buzz of people to the restaurants and bars. It's one of my favourite areas of London. Fitness-wise, it's full of corporate gyms, but what if you want a break from your corporate work life? A place where you can work out but hone in on techniques? MoreFit is the place to be. Tucked away in a cobbled corner near Cannon Street, in the heart of the City, you'll find the personal training studio, MoreFit. When you get to 40 Queen Street look out for this sign giving directions to the studio. Women's Health Magazine described small group training as one of the hottest fitness trends of 2015, so what is this all about and why should you try out MoreFit? 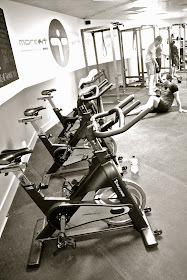 Small group training is exactly what it says on the tin at MoreFit. 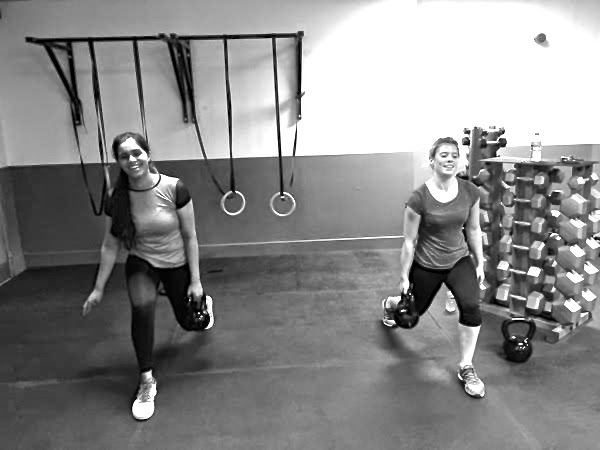 At MoreFit's classes, you train in a small group, the maximum size being three. The class consists of you completing several sets based around kettlebells, barbells, dumbbells or olympic ring work depending on the class you've booked. If you enjoy working out in classes but find the idea of personal training intimidating or expensive, MoreFit will change your views (just look at the photo below for their opening offers!). I loved the size of the classes because it meant that whilst each of us were completing the same sets, the small size meant that the trainer could tackle any issues any of us were having (like not doing a deadlift with a kettlebell correctly) or tell each of us to go up or down a kettlebell or dumbbell in weight during the class. This isn't something you get in the standard classes at gyms. Normally, when you're in a class of 15-20 people, the trainer doesn't have the time to really help everyone. Don't get me wrong, I do love a large-sized class, but the classes I went to at MoreFit really taught me a lot. It was much more personal, which also meant I felt I had worked out in a completely different way to normal. The fact it is built around 1-1 or small group training puts MoreFit into a personalised setting. It feels like a small studio, but you can have about three or four other classes happening at the same time. There is no reception; the small studio setting and small classes means that the trainers know you and you know the trainers (two of the trainers in the photo below). Gyms are often so big with such a large group of staff, no-one really knows you unless you go on a very regular basis. For me, I like this anonymity at a gym when I just want to zone in and have me-time. But what I found from my old gym (thankfully I've left it!) that there were never trainers around to help you correct your techniques for whatever exercise you were doing. At MoreFit, I learnt the importance of why you should improve your techniques and also how to correct those techniques. This brings me to my next point: YOU CANNOT 'CHEAT' IN A SMALL GROUP TRAINING CLASS( capital letters noted)! Whether you are training alone or in a large group class, there is room to 'cheat' or take a break, after all, the trainer doesn't have a hundred eyes. But at MoreFit, the trainer is focusing on only two or three people. If you're chest isn't touching the ground during those push-ups, they will see it, and make sure you do those ten push-ups correctly. If you've stopped because you feel the burn, they will see you. This isn't torture, this is about being more fit and doing it all correctly. MoreFit has a variety of small group personal training classes; from Full Body Conditioning to KettleBell Extreme to Power Yoga. I tried the Kettlebell Extreme and Full Body Conditioning classes. For the kettlebell class, me and my partner in the class hopped onto spin bikes for a quick warm up and then moved swiftly onto the kettlebells. I won't spoil all the fun by telling you what we did but I will tell you if you have a desk job, this class is really great for correcting your posture, especially as we often slouch much more than we are aware of during the day! Note, we both might be smiling in the photo above, but I can't tell you how much my leg muscles were burning at that point...smiling was very difficult! Full body conditioning class is even better and you probably will feel like Leonardo di Caprio in that drunk scene in Wolf of Wall Street the next day. MoreFit also provides nutrition advice, so this is more than just a personal training studio. There aren't membership requirements, and for me I think it's a great place to supplement your current routine. For runners, if you don't use a gym, I think MoreFit is perfect because the classes can help strengthen your core, which is vital. And if you have a desk job, even better. The prices aren't bad either - 12 sessions at £15 per session is one offer - which is even lower than prices for classes at other fitness places dotted around the City! 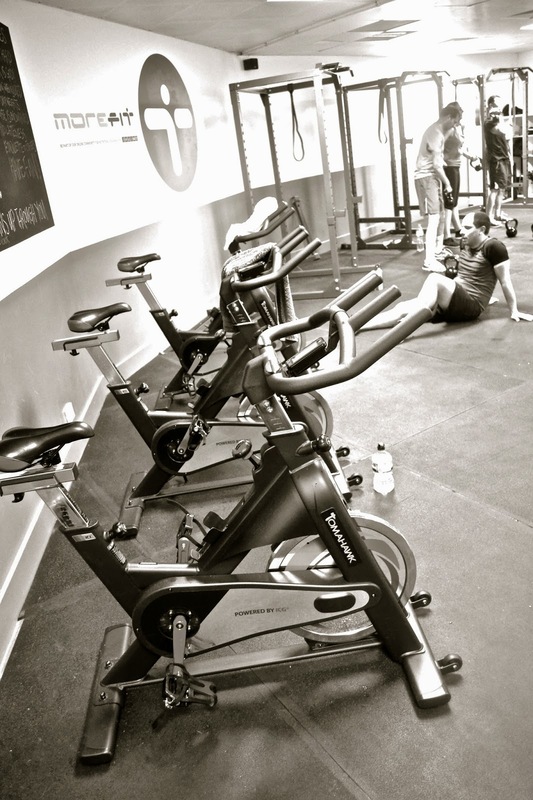 MoreFit is open Monday to Friday, and also has studios in St Paul's and Finsbury Park. If this sounds up your street, the Finsbury Park studio has one free session offer starting in March, but if you want to start now, the Cannon Street studio currently has an offer of two free small group personal training sessions (hurry, it ends 28 February). Go, go, go! If you're feeling a bit shy, why not go with a friend? Remember my 2015 mantra: let's get sweaty, fitter, leaner and stronger. Send me a tweet if you go to MoreFit and let me know which class you went to! Disclaimer: I was invited to review MoreFit, however all opinions are honest and my own.